Last November, the Swiss city of Zug officially launched its Zug eID, an opportunity for its residents to register for a decentralized, digital identity powered by uPort. Since then, Zug residents have been able to adopt e-services such as online voting and proof of residency. 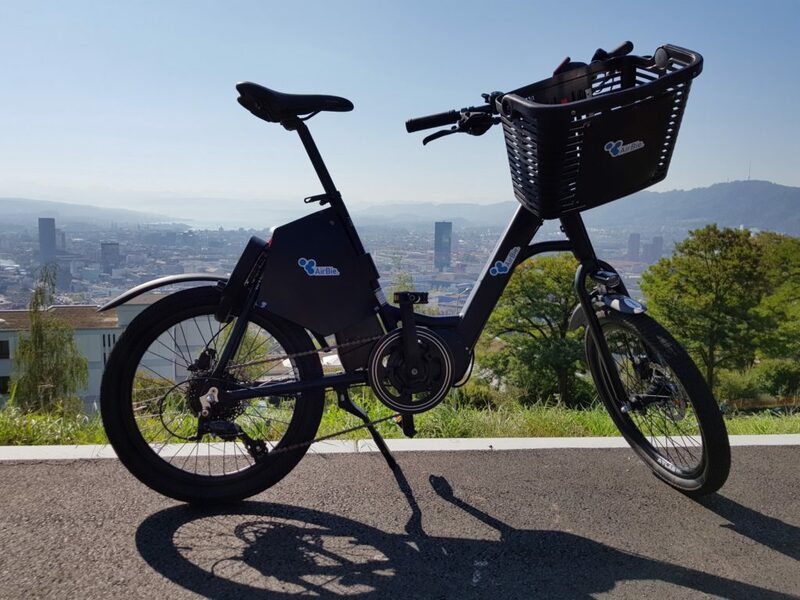 Building on this momentum, and with visions of powering a smart city and sharing economy enabled by self-sovereign identity, AirBie, a bike sharing service that uses uPort, launched today a pilot in the city of Zug. Over the past year, we heard from our community that it was critical to facilitate on-boarding and deliver a more scalable solution. So, we embarked on a major revamp of our architecture and released it recently, to make identity creation instantaneous and power more scalable projects. Because we believe in human-centricity and having our products be made simple to use by anyone, we are excited to partner with startups like AirBie that are focused on bringing Ethereum-based services into the smart mobility space. This is a major milestone for the residents of Zug. Not only can they use their uPort-enabled Zug ID for online government services, but they can now also start using it for their everyday mobility needs. As verified residents of Zug, they get free access to use AirBie Cryptobikes for 20 hours — a perk that non-residents currently do not have access to. With this use case, we see that digital citizenship has not only enabled more trust between citizens and the local government, but it also opens up a wider range of opportunities for “verified” citizens (or residents) to access services from the private sector. At uPort, we are excited to see this pilot as a first step of using self sovereign identity to power smart urban mobility. This is a great example of the types of ecosystems that we can enable using user-centric decentralized identity. Now let’s learn more about this e-bike sharing service! How does a Zug resident with a uPort-verified ID use AirBie bikes? The process is fairly seamless. If the Zug resident does not have a Zug eID using uPort, he or she can follow the process outlined on the city website or on our medium post to receive an eID. The resident then downloads the AirBie app. To log in, he or she is redirected to uPort to share the credential “Digitalid” attested by the city of Zug (i.e. verifiable claim issued by the city government of Zug). Once verified, the resident is now logged in and can find a bike nearby on the map to unlock it. Once the journey is completed, the resident can park the bike anywhere and lock it using the app to end the trip. The above flow is made possible with the uPort Connect Library (see Github for more information on this library and more). In their next implementation of the flow for AirBie bikes, the team will improve the solution built by integrating additional uPort features such as credential issuance for reward, programs among other things. Additionally, they are looking to continue innovating the ways that the blockchain can power IoT devices and the sharing economy. In their roadmap, they plan to enable anyone who owns a bike to use the AirBie smart lock to rent or offer their bikes to others. “Owners” will be able to issue credentials, and only those with the “owner”-verified credentials will be able to rent the bike. This feature is not only interesting for cities, but also for apartment communities, hotels, or within friends and family. The post Cryptobikes: Zug Residents Can Now Ride e-Bikes Using Their Zug Digital IDs appeared first on Fintech Schweiz Digital Finance News - FintechNewsCH. Security Token Offerings – the next Multi-Billion Dollar Market in 2019?